He has been at the center of plenty of controversy in recent weeks due to his cheating scandal and eventual split with Khloe Kardashian. 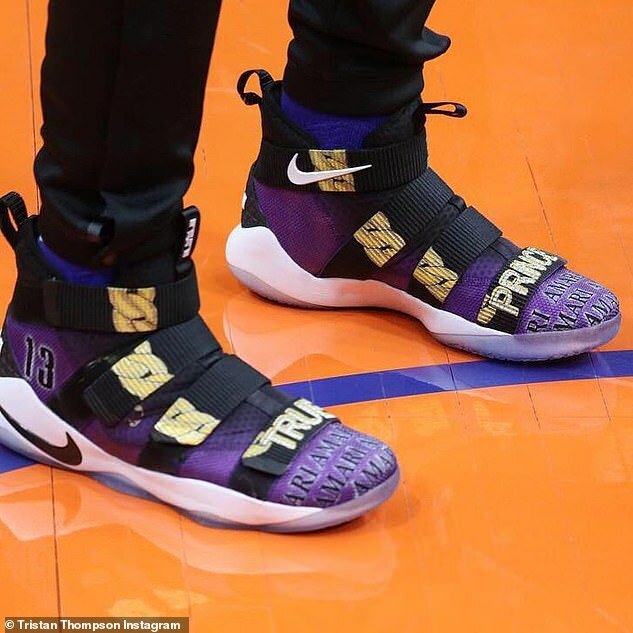 But despite the trials and tribulations, Tristan Thompson still has his heart (and his feet) in the right place. The 28-year-old Cleveland Cavaliers power forward paid tribute to his 11-month-old daughter True with his sneakers during a game against the Boston Celtics on Tuesday night. 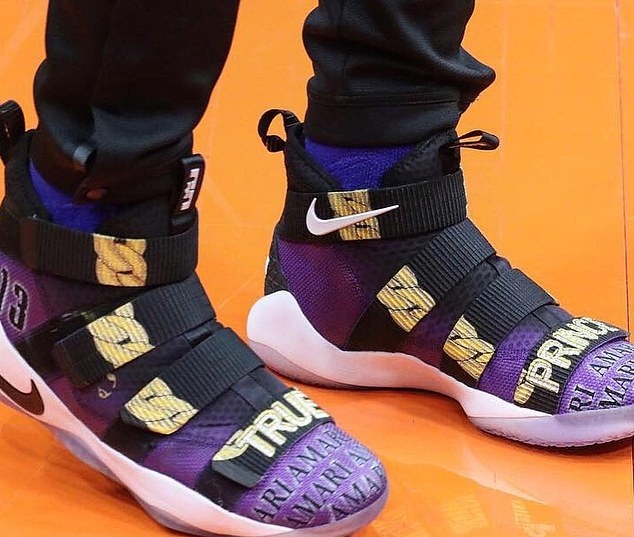 His Nike Lebron James Soldier XI sneakers were completely customed in purple as 'TRUE' was emblazoned over one shoe and 'PRINCE' was on the other. 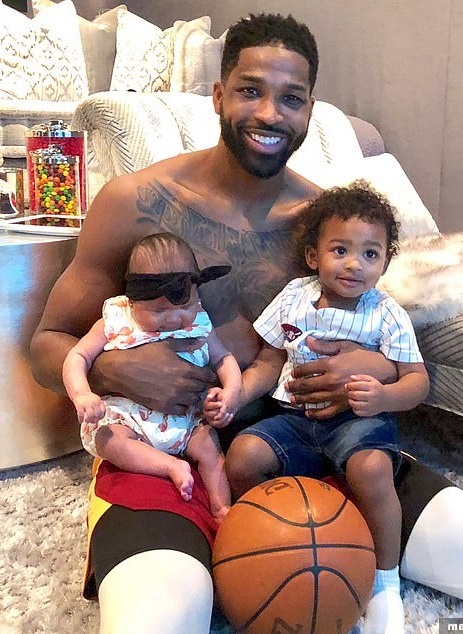 Tristan is also a father to son Prince, from his relationship with his ex, Jordan Craig. 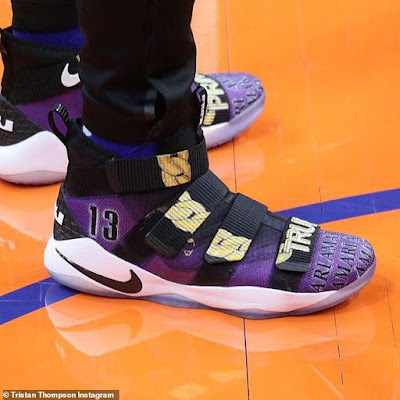 The shoes were painted the violet color to commemorate Purple Day (March 26) which is an event intended to increase worldwide awareness of epilepsy, and to dispel common myths and fears of this neurological disorder.